Jefferson Academy is an International Baccalaureate public school in Washington D.C. Their mission is to create a learning environment that fosters independent and engaged students. 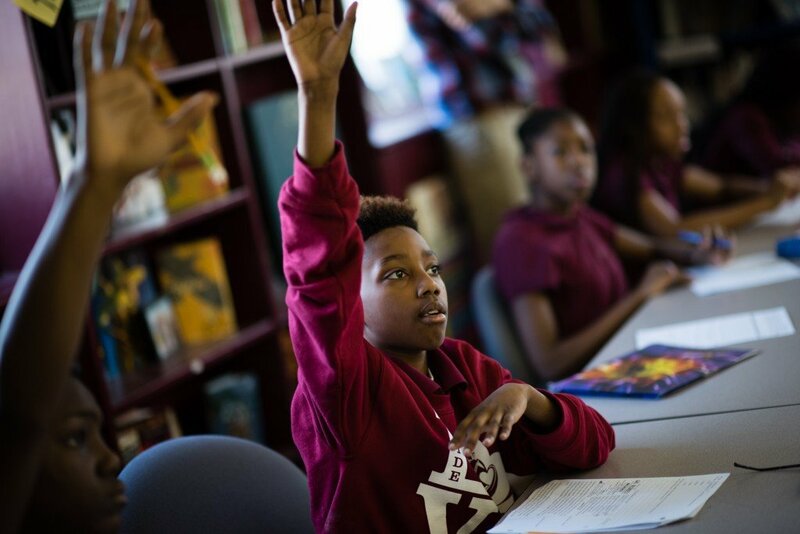 With a focus on a rigorous academic structure, Jefferson Academy aims to equip lifelong learners with the skills they need for the road ahead. The teachers at Jefferson at enthusiastic, and it’s clear to us that they really care about their students. Jefferson Academy is a community, and we’re happy to contribute to it in some way! Custom apparel for school-related events is a great idea. Instead of your typical parent-teacher conference, Jefferson allows students to lead their own meetings and give a report on their academic progress. As an extra incentive, the schools gives away free apparel! Kids love to show off their school pride, and having tees to commemorate special occasions or as a reward for hard work goes a really long way. 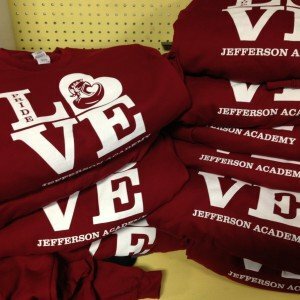 We also enjoy working with Jefferson Academy because they choose fun materials to print on. Their designs are simple and upfront, great for reaching a wide audience of students. Jefferson sometimes has some unusual print requests for us – such as cardigans and scarves. This is great! Jefferson is an excellent example of the range of apparel available for us to print. 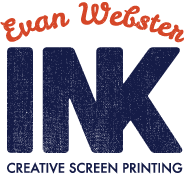 At Evan Webster Ink, we can turn any ordinary clothing into custom apparel!